Below you fill find all funeral homes and cemeteries in or near Algonquin. Suburbs of Algonquin: Lk In The Hls, Barrington Hills, Lake in the Hills, Lk In The Hills. Their current mayor is Mayor John Schmitt. Zip codes in the city: 60102, 60156. McHenry County funeral flowers can be purchased from one of the local funeral shops we partner with. Some of the notable people born here have been: Theresa Schwegel (author), and Evan Jager (track and field athlete). 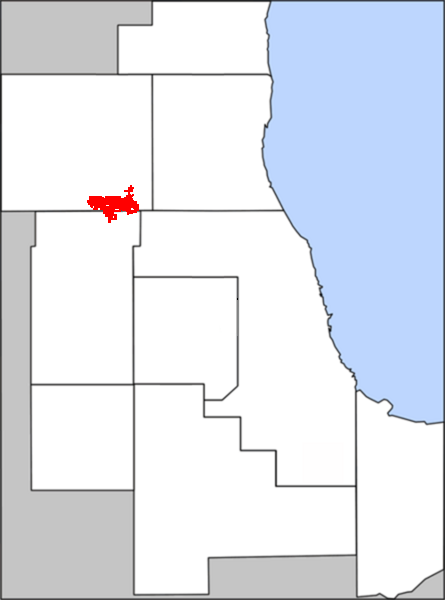 Algonquin is a village in Illinois located in both McHenry and Kane counties. 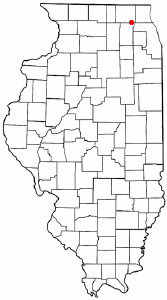 It is a northwest suburb of Chicago, located approximately 40 miles from the Loop. The 2010 Census placed the Village's population at 30,046, growing considerably from the 2000 Census figure of 23,276.The village is known as "The Gem of the Fox River Valley", since its downtown is nestled in the heart of Illinois' Fox River Valley. Established in 1890 and long known as a small river community, the village is making the transition into a major regional hub, as it has experienced considerable suburban growth over the past 20 years. Now stretching all the way west to the busy Randall Road corridor, Algonquin has become a major center of retail activity, with popular shopping centers and various well known restaurants, and a growing corporate campus. Additionally, the village continues to see considerable residential growth. The Village is proud that it has managed its growth to increase the commercial tax base, build great neighborhoods, preserve its character and history, and substantially increase its recreational offerings and quality of life. Whether you need to plan a tradional funeral or one focused on cremation, our planning experts are ready to help. We have advisors that will be able to guide you throw the process. It was reported by Kane County Chronicle on February 21st, 2019 that Albert Simeth perished in Algonquin, Illinois. Simeth was 89 years old. Send flowers to express your sorrow and honor Albert's life. It was revealed by The Daily Herald on February 1st, 2019 that James R "Mick" Mikolaitis passed away in Algonquin, Illinois. Mikolaitis was 81 years old. Send flowers to express your sorrow and honor James R "Mick"'s life. It was revealed by The Daily Herald on January 31st, 2019 that Frank J Kovas passed on in Algonquin, Illinois. Kovas was 77 years old. Send flowers to express your sorrow and honor Frank J's life. It was noted by The Daily Herald on January 17th, 2019 that Lisa Anderson (Deluga) passed on in Algonquin, Illinois. Ms. Anderson was 56 years old. Send flowers to express your sorrow and honor Lisa's life. It was noted by The Daily Herald on January 8th, 2019 that Marlene Angeline Hogel (Olas) perished in Algonquin, Illinois. Ms. Hogel was 81 years old. Send flowers to express your sorrow and honor Marlene Angeline's life. It was reported by The Daily Herald on January 4th, 2019 that Virginia Joan Peeples (Lapice) perished in Algonquin, Illinois. Ms. Peeples was 90 years old. Send flowers to express your sympathy and honor Virginia Joan's life. It was disclosed by The Daily Herald on November 21st, 2018 that Agnes B Strang passed on in Algonquin, Illinois. Strang was 96 years old. Send flowers to express your sympathy and honor Agnes B's life. It was noted by Chicago Tribune on October 3rd, 2018 that Richard Kay perished in Algonquin, Illinois. Kay was 54 years old. Send flowers to express your sorrow and honor Richard's life. It was written by Chicago Tribune on September 30th, 2018 that Gerald Mares died in Algonquin, Illinois. Mares was 93 years old. Send flowers to share your condolences and honor Gerald's life. It was noted by The Daily Herald on September 29th, 2018 that Ralph Gaulke passed on in Algonquin, Illinois. Gaulke was 92 years old. Send flowers to express your sorrow and honor Ralph's life. The development continued in earnest in the 1990s and 2000s. Settlers Dr. The first signs of economic growth occurred in 1855 when the town saw the construction of the railroad, which enabled farmers in the neighboring area to have other means of getting their products to the markets in Chicago. But Samuel Edwards suggested the name Algonquin and on December 23, 1847, the name Algonquin became official. The festival in recognition of the event continues to be held each year. The official website for the city of Algonquin is http://www.algonquin.org. Willow Funeral Home provides complete funeral services to the local community. Willow Funeral Home, Algonquin, IL : Reviews and maps - Yahoo! Local, 847.458.1700. Get Ratings, Reviews, Photos and more on Yahoo! Local. Funeral Home in Algonquin IL, Illinois Local Yellow Pages by Yellowbook. Having a Yellowbook Moment? Find the funeral home you need when you need them. Find funeral directors & Funeral Directors in Algonquin, IL. Read business reviews, find driving directions, and more. funeral directors on YELLOWPAGES.COM. Planning is easy with our endorsed cremation partners. Funeral Planning is a breeze working with us. We work with local florists and flower shops to offer same day delivery. You will find budget sympathy flowers in Algonquin here. Our funeral flowers are cheap in price but not in value.